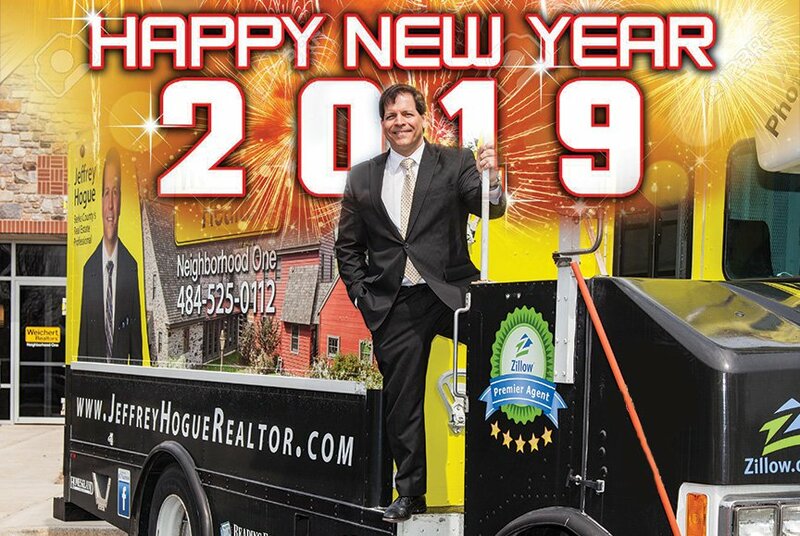 Let's take a look at the year that was 2018 and see if it offers insight into what's in store for 2019 as it relates to real estate here in Reading and Berks County. Yes, it is that time again! Time to reflect on the year that was and time to dust off the crystal ball and see if it can foretell what the future holds. It is my humble opinion that the big real estate story here in Reading and Berks for 2019 was the low home inventory. Yes, I believe it is even a bigger story than the ever-rising property taxes that plague our area year in and year out. With just four calendar days left in 2018, there have been 6,344 residential homes listed for sale. A total of 6,833 homes were listed in 2017, a year-over-year decrease of 7.1%. Home sales for 2018 are at 5,055 units compared to 5,325 units in 2017, a decrease of 5.1%. Even though there were fewer sales in 2018, the ratio of sales to listings is better. The result of an improved listing to sales ratio is often climbing home prices and fewer days on the market. In 2017 the time a house was on the market until it sold was 99 days. That number dropped to 76 days on market in 2018. Here is where things start to make less sense. The median sales price of a residential home here in Reading and Berks County in 2017 was $164,900. Even with the low inventory, good listing to sales ratio, and lower days on market, the median price only climbed to $164,990. Yes, a slim $90! There was a lot of noise this year regarding rising interest rates. The year started with 30-year mortgage rate around 4%. Presently rates are around 4.625%, down from 5% in November. For comparison sake, 2017 began with mortgage rates around 4.3% and ended at 4 % as mentioned earlier. I believe when it comes to mortgage rates it is more about consumer perception. Rates dipped to below 3.5% in 2016 and have since rebounded approximately 1%. Most interest rate prognosticators believe that mortgage rates will top out around 5.5% in 2019. If that happens, it will be a rise of 57% since their lows in 2016. That is the kind of number that makes news and sells papers. In real dollars, the difference between a $100,000 mortgage payment at 4% and 4.625% is approximately $37 per month. In any case, rising interest rates, perception or not, is never really good for property values. As I have stated in the past, home values here in Reading and Berks are more a product of policy and law than statistics. Until we get a grip on out of control property taxes, all other sales metrics remain a distant second. High property taxes are hurting the new home market which aids in keeping home inventory absurdly low. Improving what is fast becoming an aging population of homes can be a problem if they are reassessed due to existing tax policies. Owning a home above $400,000 often comes with property taxes that have an aggressive negative impact on the homes true value. Without upside leadership from the new house and upscale market, our area may continue to be value capped. We are about to finish a year which saw low home inventory, good sale to listing ratios, rising but handleable interest rates, and a rising national economy and yet our median home prices barely moved. How many years will these good housing statistics prevail? What will happen if interest rates start to rise, the national housing market cools, and the economy waivers? I believe the Reading and Berks County real estate market is likely to be a carbon copy of 2017 and 2018. The low inventory will likely continue and our strongest sales months will be June through August. Watch out if interest rates start to move faster than expected, the national housing market cools too quickly and the media jumps on a "Sky is Falling" mantra. These events would likely lead to increased inventory due to lack of buying and then all bets are off. Listen to me on WEEU in January for much more on this subject, and remember, Knowledge is Power!